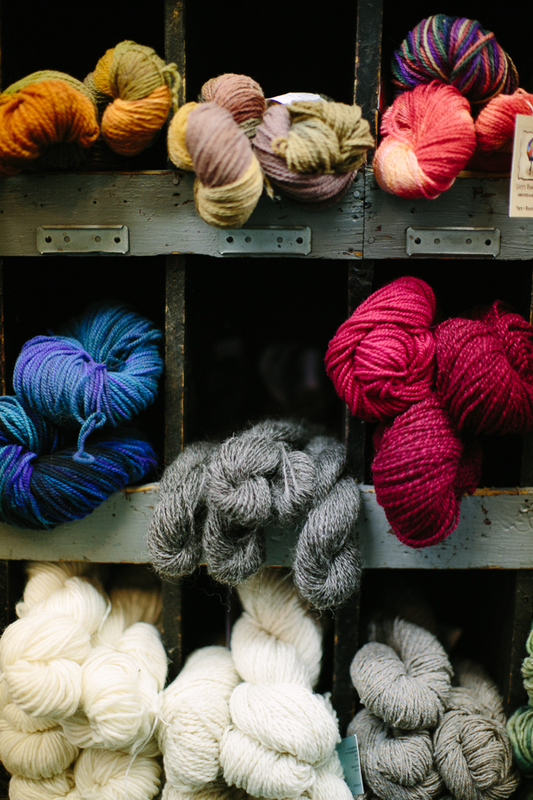 Consider the Drape: Lessons in choosing the right yarn for your project. In the crochet world, there are so many projects to choose from, and so many patterns and choices of fiber for any given pattern. Needless to say, it can be overwhelming to commit to anything! And even when you make your decisions, sometimes your project can leave you underwhelmed. 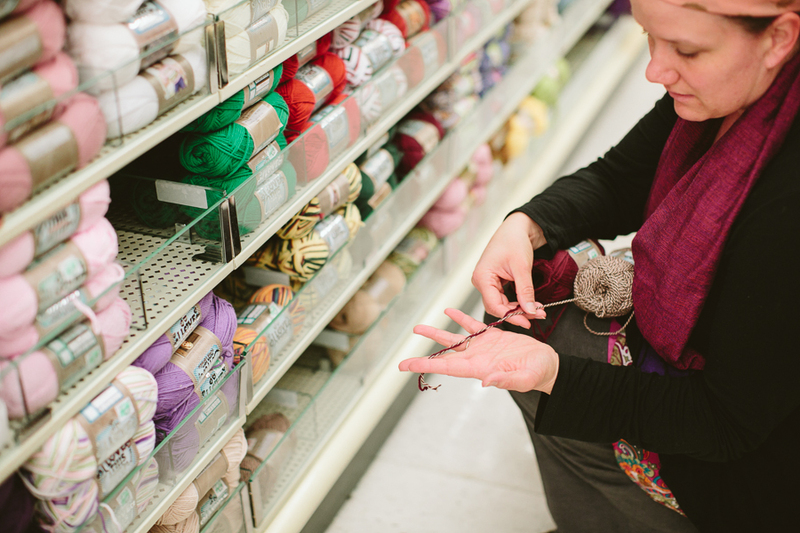 I confess – there are many times when I have 3 or more half-finished projects in my basket. Sometimes I just want to make what I’m in the mood to make and not feel confined to finishing one project before getting lost in another. So the pile waits. And the pile grows. There may be many reasons why your projects are left unfinished or why your finished projects disappoint, but let’s just discuss a few. 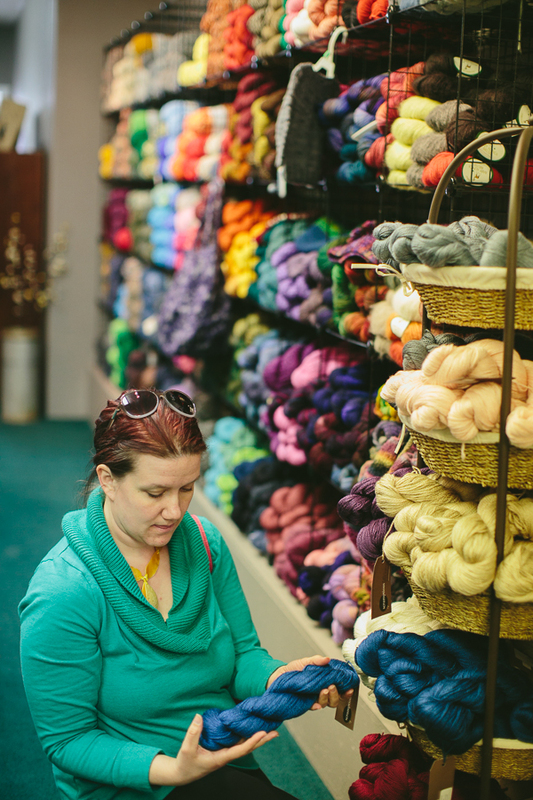 Have you bought new yarn this year? Go to the yarn store. Choose colors you love. If you don’t know what you like, go to the library and find some fashion or home décor magazines. 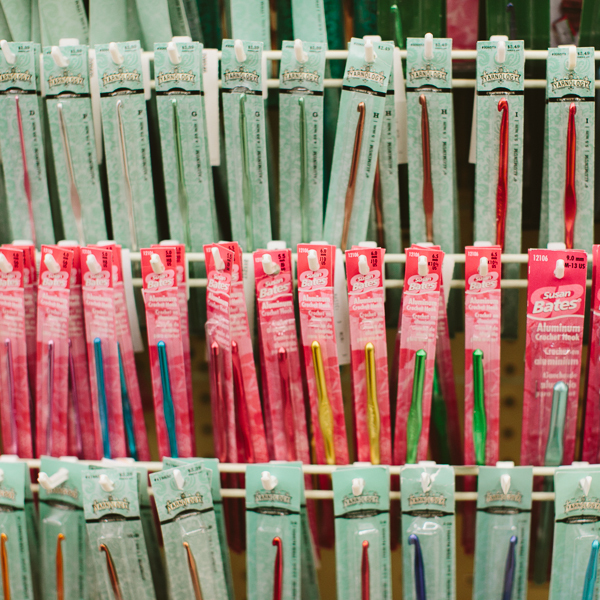 They are always filled with fresh and on-trend colors and they can be your guide on a new color adventure. Acrylic. Wool. Alpaca. A blend of some or all of these. Which is best? The right fiber depends on what you are creating. Items that will get worn and used often need a fiber that is much more durable than acrylic. Make your coasters, placemats or rugs out of some Lincoln wool or an acrylic/wool blend. Lincoln wool is rough and tough and no good for garments but is fantastic for items that will literally be walked upon. Making a hat? Alpaca will blow your mind. It is the perfect animal fiber to wear. Animal fibers are very durable and will not pill like your everyday acrylic. Acrylic is very inexpensive and is great for those with allergies to animal fibers, children who probably will lose and/or destroy the hat you made, and for those who don’t want to commit to an accessory for too long. Acrylic is also very diverse: fuzzy, shimmery, glittery, soft, stiff, loose, etc. Consider your project’s function, fashion and durability needs when selecting fiber. This is the most important thing to consider. I found the perfect hoodie/cowl pattern. It called for very bulky yarn. I made a few and loved them. My son wanted one in blue. I didn’t have any bulky blue yarn, so I made his using regular worsted yarn. It didn’t turn out at all like the others. It had DRAPE! The others were stiff and stayed up on your neck. His just… draped! I have seen some beautiful shawls, intricately designed, but when they hang on the model they just look bad – like they put a cardboard box around their shoulders. Some items need shape, some need flow. 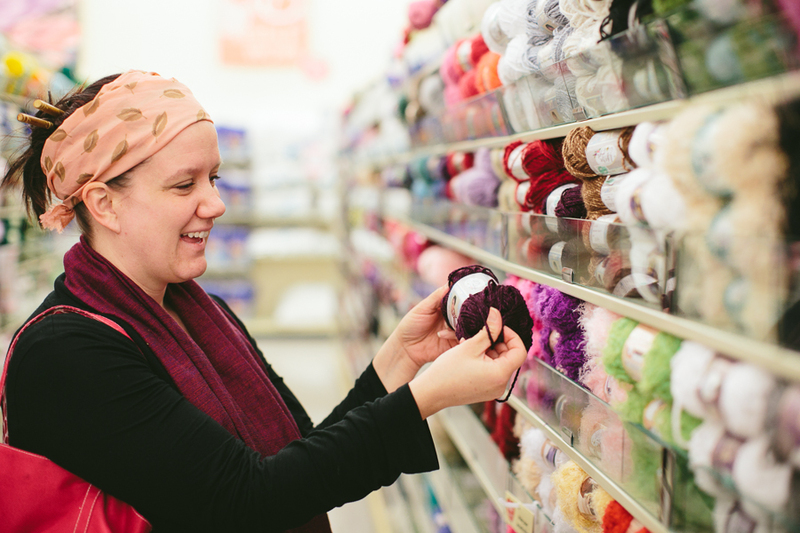 To help you choose yarn with the right drape, try this: When you are in the yarn store pull a small section of yarn out of the skein (about 4 inches) and pinch it between your fingers. Then, pinch it at 2 inches then at one inch. Notice how the yarn hangs at each point. The more it wants to hang down, the more dramatic the drape will be on your project. If I had used a smaller hook on my son’s hoodie/cowl the stiffness I desired may have been achieved. If a larger hook was used on the cardboard shawl, a more beautiful drape may have resulted. More important than drape, is the ability to be flexible. Be adventurous, be creative – and never be afraid to fail! Unravel your work, transform it into something else, but never despair because your project went awry. You learned something new while you created something useful, or thoughtful, or cozy. Let your projects surprise you with a free lesson; just as mine taught me to consider the drape.